Careers in Business Information Management and Administration combines the idea of IT with the corporate world. The study of computer with application to business opens door to several fantastic opportunities in the corporate world. The various techniques to merge Business applications with IT skills can be learned and it will be useful for business-technology based solution. Professional study with understanding of IT background is commonly termed as Management Information Systems (MIS). A professional with IT background proves to be a very valuable asset in growth of the firm. 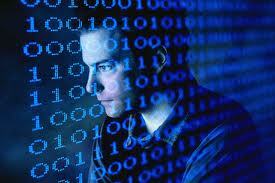 Information Technology degree programs opens the door to modern technology corporate world. You can implement computer skills into the enterprise methodologies for a better enterprise solution with advanced feature. It might help you to get a lucrative opportunity into a challenging sector of business. Administration studies merged with Computer is a good choice for those who wish to develop their career in management with core concepts of IT. Adequate education on IT will be helpful to provide very effective and computerized solutions in various business strategies. U.S. Bureau of Labor Statistics projected $125, 660 as the mean annual wages for Computer Information Systems (CIS) manager. CIS manager plan, instruct or coordinate activities in areas such as electronic data processing, systems analysis, IT and computer programming. MIS professional manage application of technology in organization. Security and Database controlling is handled as well as constant upgrade in technology changes is also taken care by them. MIS executives maintain every system within the estimated IT budget. Chief Information Officer (CIO) handles overall working of technology in firm. CIO identifies goal of information system to be implemented in the company and plan accordingly to achieve the decided aim. Chief Technology Officer (CTO) takes care of designing and implementation of latest technology in the firm. They have technical knowledge along-with appropriate business solution. IT director is responsible for handling entire IT department, co-ordinate and supervise every network activity and data availability in the entire firm. IT security manager handles security of data and network services. The main responsibility includes that nobody in the firm breaks data security rules. What can I do with a degree in IT management? This is the common question most of the information management degree holders completed their education from best business administration and IT colleges wonders. Given below is a list of few of the career pathways that can give you a ticket to success in different positions. In every sector, an employee with good learning on enterprise solution with a sound background of IT is required. Eligibility: Minimum master's or bachelor's grade with relevant work experience and sometimes GMAT score is also required. Dissertation work done during masters may also be considered. Time taken to complete a doctorate degree depends on the dissertation work. Ideal for: Doing Research work in related field. Top executive positions such as CIO, CTO, IT director and head of the IT security department can be achieved. For teaching in a university as a professor, doctorate degree is a must. Best suited for: Personnel who wish to become IT manager. Those who wish to pursue Master of Science in information technology and management may also achieve a high level designation. Ideal for: Mid level occupation. Bachelor of Science in management information systems and BBA in IT is a choice of study option provided. Best suited for: First step into Entry level positions within MIS technology. Campus based and online associates degrees requirements vary according to location. Offered by: Community colleges, technical institutes. Ideal for: Personnel who wish to gain expertise in specific area such as network, design structure and a lot more. It might take less time duration as compared to earning an academic campus based degree. Duration: Minimum 6 months-1 year. Suited for: Gaining good designation in computer related sector within industry. As per U.S. Bureau of Labor Statistics, job prospect for CIS managers is estimated by 18% till end of year 2020. Overall employment may be bright as per education you earned and experience gathered.